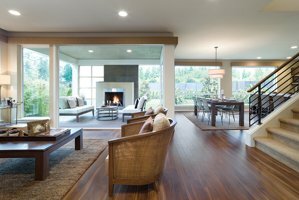 Eaglemont, a MainVue built real estate community in Monroe, WA. Eaglemont homes overlook the Skykomish Valley in Monroe WA. 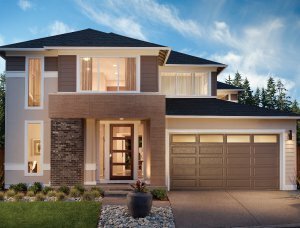 Eaglemont neighborhood is located on a Monroe, WA hillside giving it ideal views of the Cascade Mountains. A second benefit of the Eaglemont community location is the proximity to Monroe’s nearby shopping, dining amenities. And third, close to Everett for commuting or the "Eastside" ie, Bellevue, Kirkland and Redmond. The location of Monroe, WA near Hwy 2 offers easy access to recreational opportunities including hiking, fishing, biking and skiing. A short hour drive to Steven’s Pass for winter and summer recreation activities. At Eaglemont, the magnificent mountains and modern choices are only the beginning for making memories you were meant to enjoy. Would you like to talk with a Persinger Group Realtor about buying a home or selling a home in the Eaglemont area?